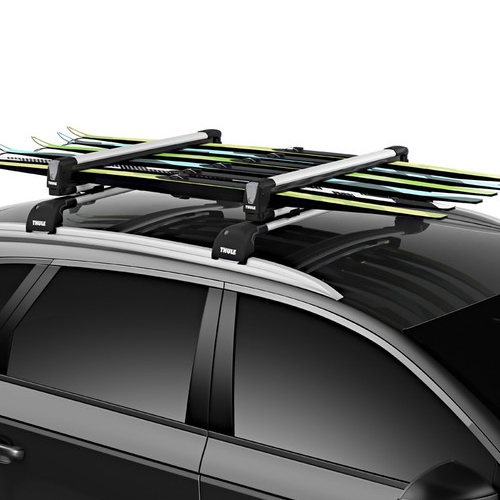 The Thule 7326 SnowPack L Universal Aerodynamic Ski Racks and Snowboard Carriers are fully locking, premium quality, roof top ski and snowboard carriers designed to securely transport 6 pairs of skis, 4 snowboards or a combination of the two. 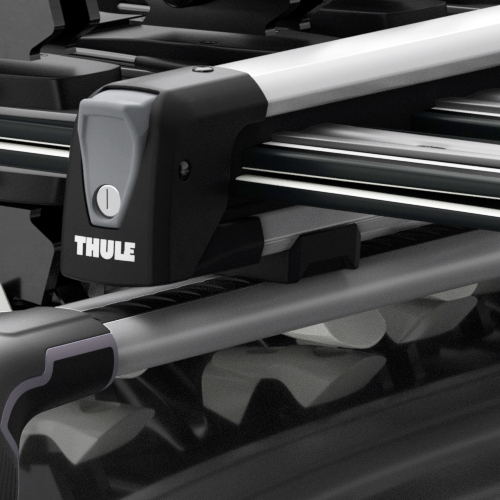 Thule 7326 SnowPack Universal Ski and Snowboard Carrier's corrosion-resistant aluminum arms are durable, strong and provide ultra-soft, rubber padded arms for maximum skis and snowboard protection. 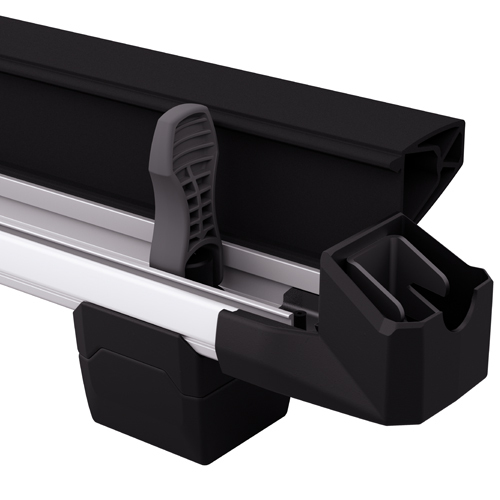 The SnowPack is engineered with a Smart Vertical Spring System that adjusts to accommodate all thicknesses of skis and snowboards - reducing in height when unloaded. 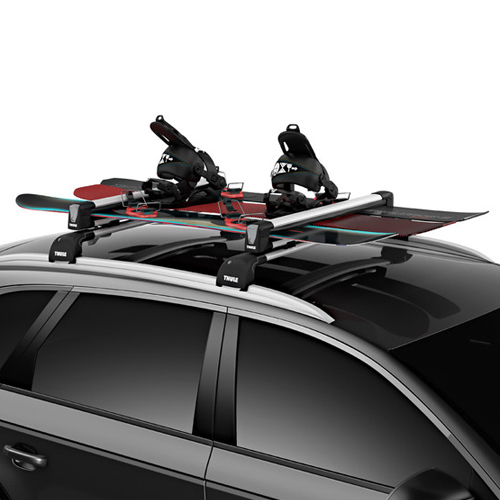 The Thule 7326 SnowPack Universal Aerodynamic Ski Racks and Snowboard Carriers are designed with a large push button release for easy accessibility - even while wearing bulky gloves or mittens. 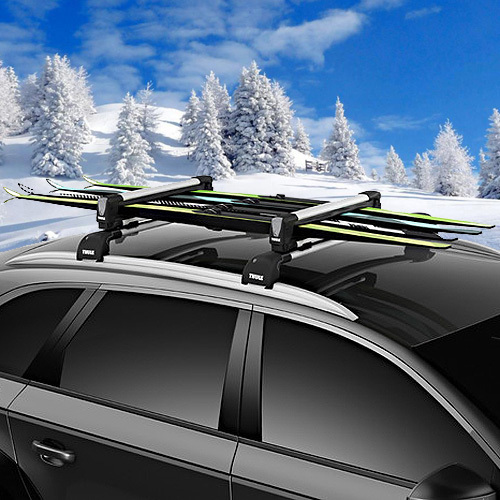 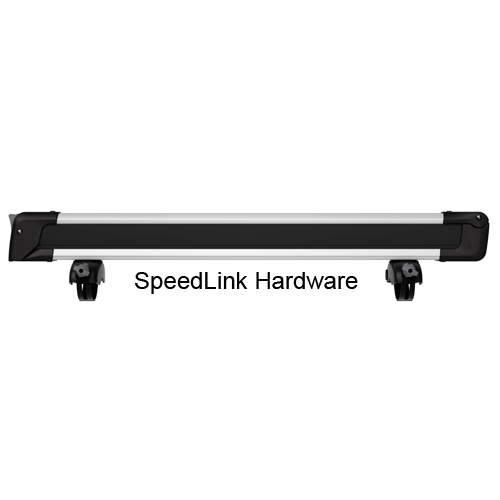 Thule's Speedlink hardware provides a quick, convenient way to safely attach the Thule SnowPack to Thule Square Bars, Thule AeroBlade Crossbars, Yakima Round Bars, Whispbar Aerodynamic Crossbars, and most factory installed racks. 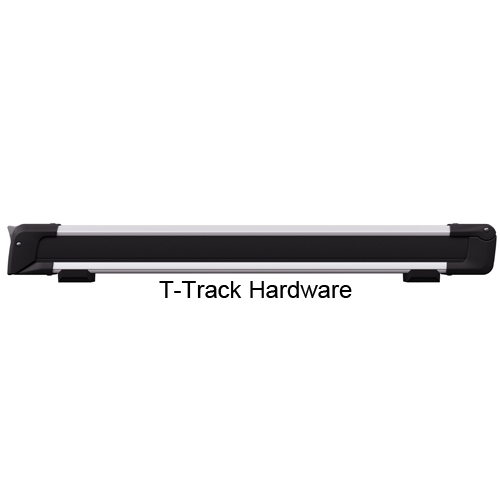 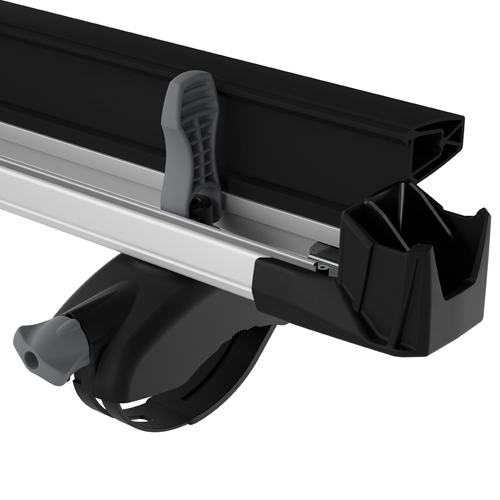 For a lower profile and sleek look the SnowPack includes T-Track mounting hardware to fit most factory and aftermarket t-track slotted crossbars. 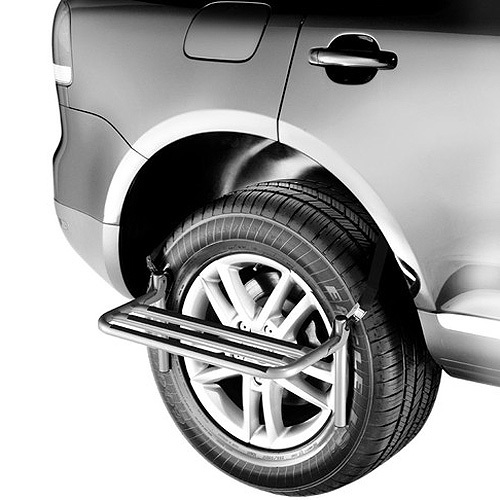 Two sets of height extension T-Track feet allow the ski carrier to adjust and protect your vehicle's roof from taller ski and snowboard bindings. 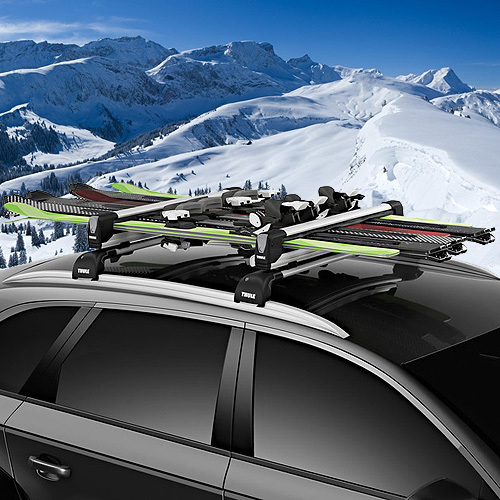 The Thule 7326 SnowPack Universal Aerodynamic Ski Racks and Snowboard Carriers have a 28.5" wide loading platform (72.39 cm). 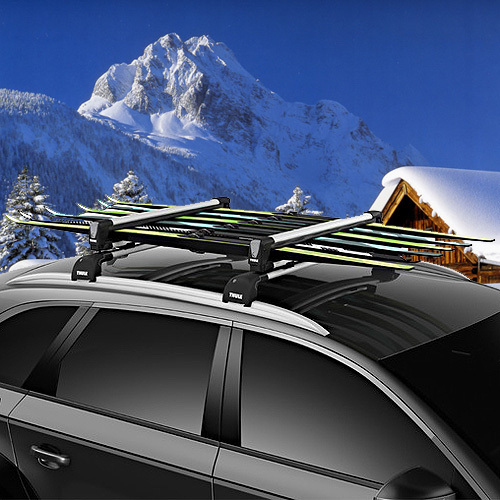 Skis and Snowboards may be carried base to base for maximum carrying capacity. 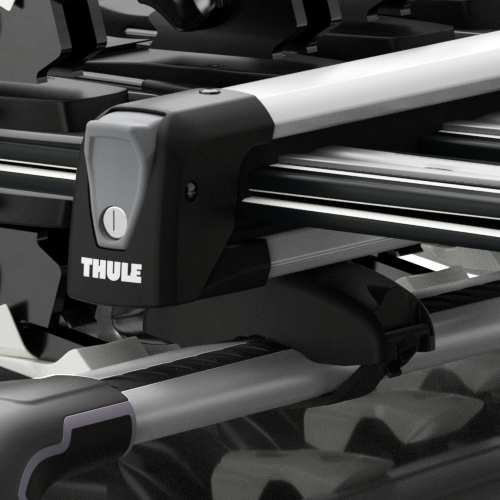 Thule Locks and Keys are included to secure your skis to the carrier and the carrier to your vehicle. 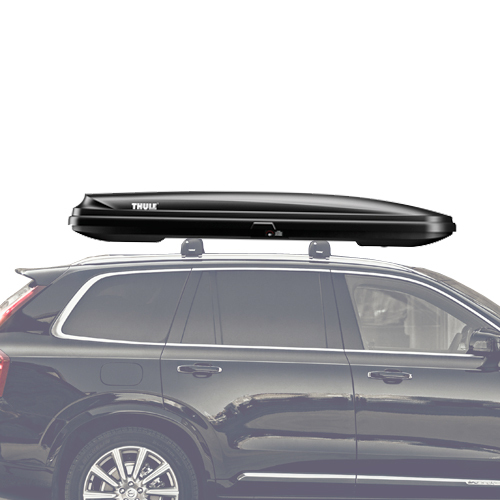 Thule Cargo Boxes offer another convenient carrying alternative for skis, snowboards, poles, boots and other year-round gear.